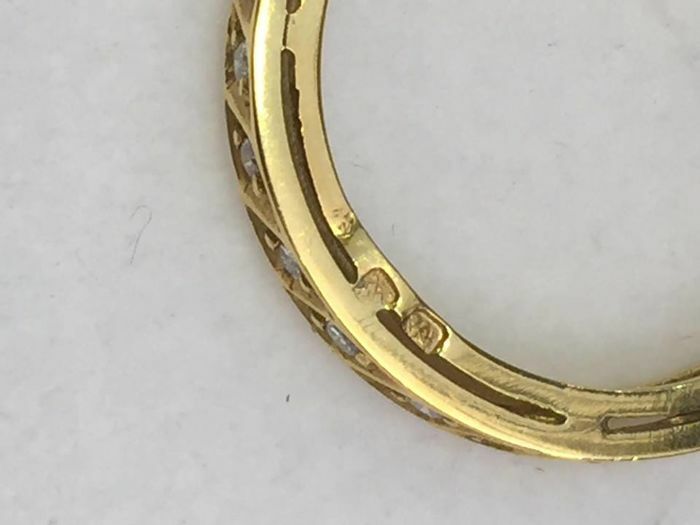 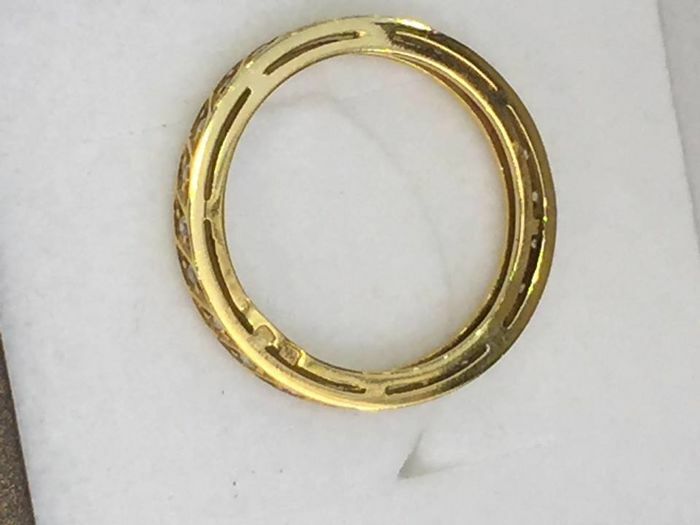 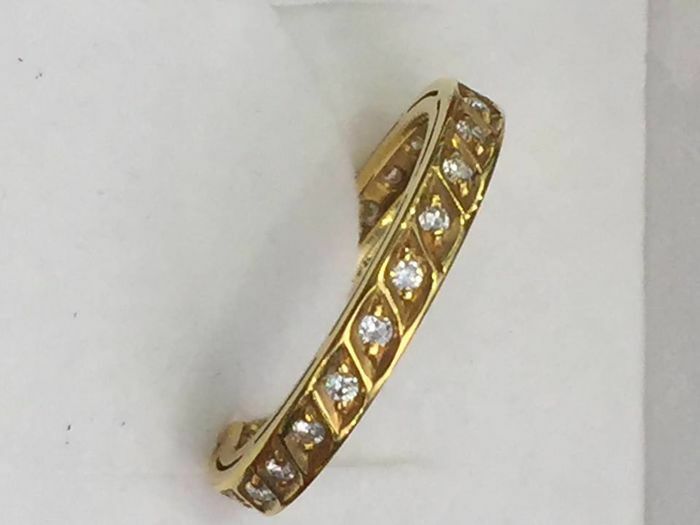 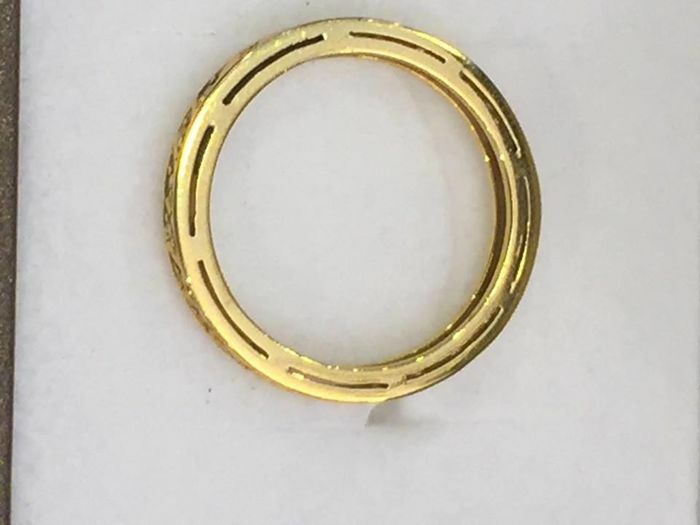 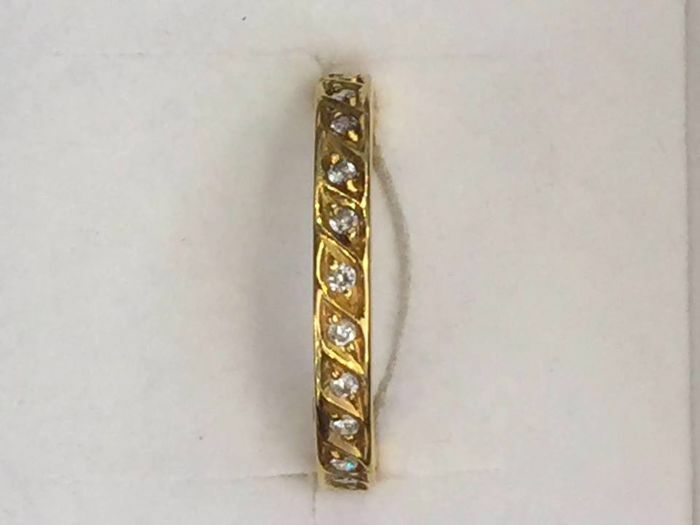 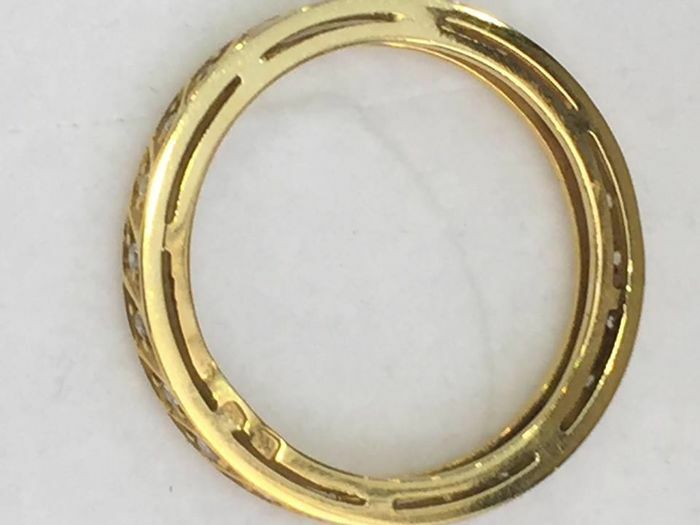 19.2 kt gold ring with diamonds around the loop 24 brilliant cut diamonds of approx. 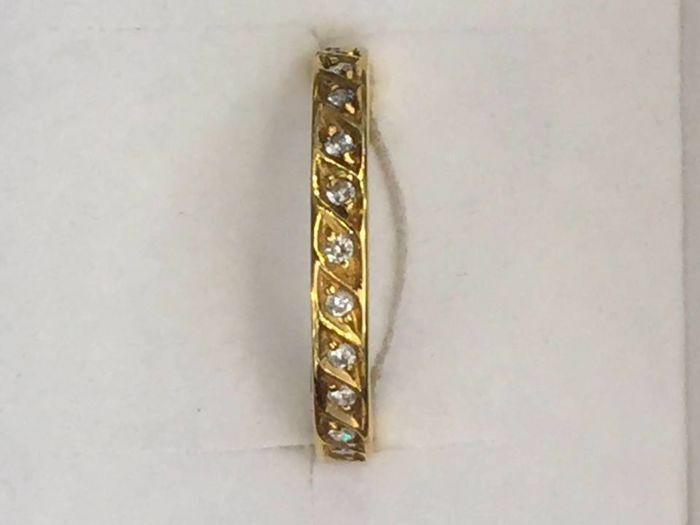 0.36 ct, H colour, VVS1 clarity. 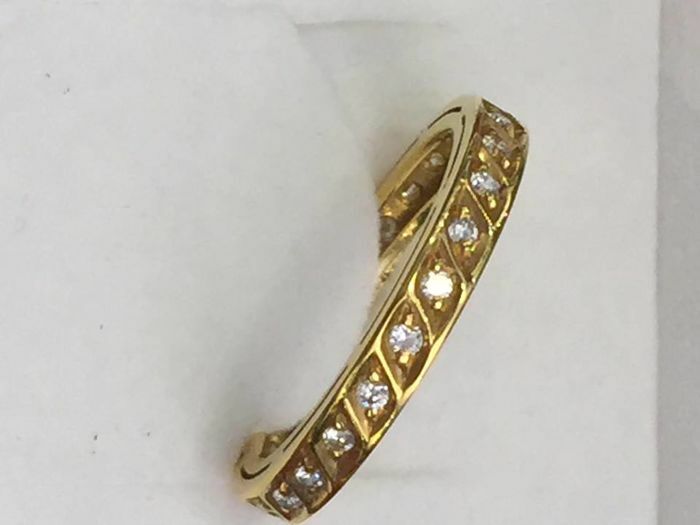 The gold is 19.2 kt and weighs 3.02 g.